This VoIP router enables small businesses on single sites to securely and seamlessly migrate from ISDN/analog to the new All-IP network. 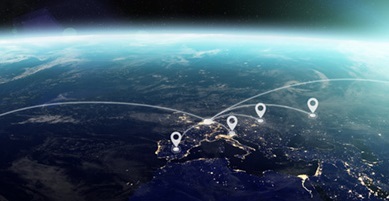 With integrated telephony functions and 2 analog interfaces, it is the perfect solution for connecting analog, ISDN and VoIP phones at locations with an All-IP connection—without having to replace existing components. At the same time the router provides high-speed Internet thanks to a VDSL2/ADSL2+ modem and fast wireless LAN based on IEEE 802.11n (Wi-Fi 4). 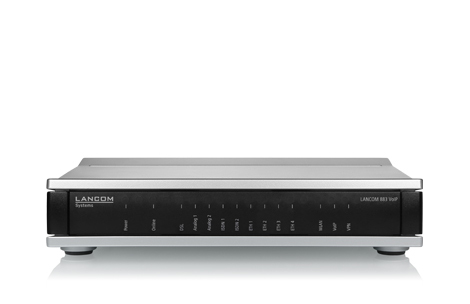 The LANCOM 883 VoIP translates between ISDN, analog, and VoIP. Along with the latest VoIP equipment, you can continue to operate your existing ISDN and analog components without having to replace them. Even after switching to the new All-IP connection, this cost-saving solution conveniently and professionally integrates your ISDN and analog network components. 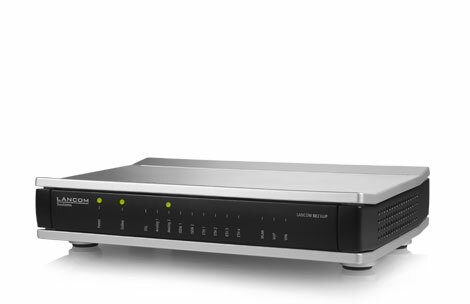 It is also possible to operate a combination of analog, ISDN, and VoIP PBX devices directly at the LANCOM router. The LANCOM Voice Call Manager is already integrated into the LANCOM 883 VoIP and provides advanced telephony support. It handles the telephony management and controls all of the PBX components and functions of the router. The LANCOM 883 VoIP is a professional, high-performance router for high-speed Internet access with its integrated VDSL2/ADSL2+ modem. Thus it offers maximum flexibility for the transition from ADSL to the high-speed Internet with VDSL - thanks to VDSL2 Vectoring support offering up to 100 Mbps. The LANCOM 883 VoIP is equipped with a WLAN module as per IEEE 802.11n. This allows wireless clients to be professionally integrated into the network at up to 300 Mbps - ideal for home offices and small businesses, because the router provides professional WLAN coverage without the need for additional costly hardware.